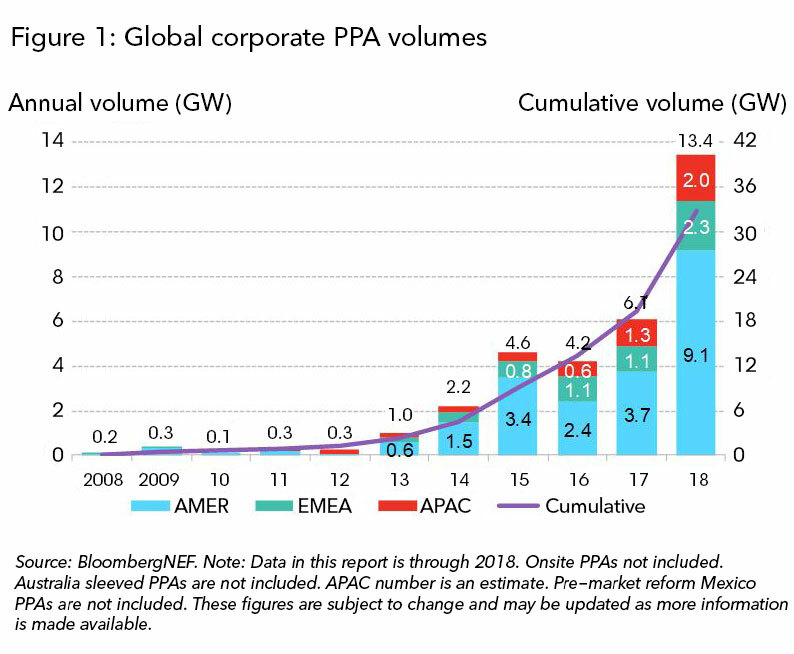 Fueled by a growing corporate appetite for clean energy, 121 companies around the world signed long-term deals for 13.4 GW of wind, solar and other renewables in 2018, smashing a prior record of 6.1 GW in 2017, BloombergNEF said in a report released Jan. 28. More than 60% of the newly contracted power, or 8.5 GW, is in the United States, where nearly three dozen first-time buyers expanded the non-utility market for renewables beyond technology companies like Amazon.com Inc., Apple Inc., Facebook Inc. and Google LLC that have acquired large volumes of wind and solar in recent years to power their data centers. While Facebook was by far the largest corporate renewable energy buyer in 2018, contracting for more than 2.6 GW, many smaller businesses entered the market last year by pooling their purchasing power or teaming up with larger, more experienced buyers, according to the clean energy research firm. 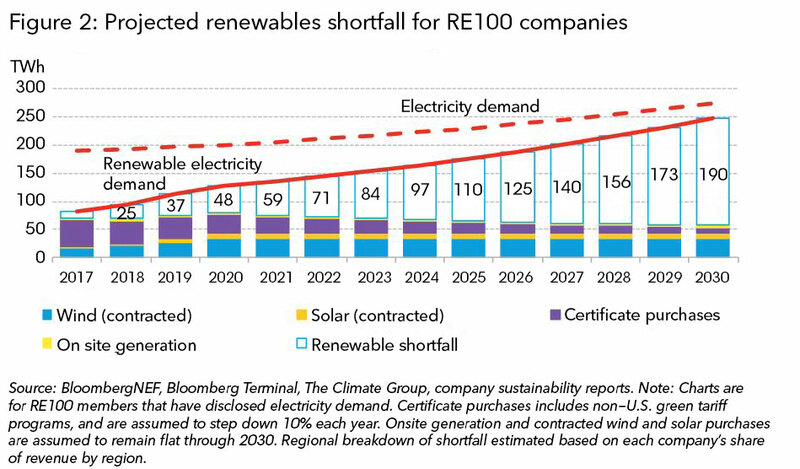 Companies in Europe, the Middle East and Africa ratcheted up their renewable energy contracting in 2018 as well, doubling their purchase agreements to 2.3 GW, the report found, while Asian-Pacific businesses signed up for a record 2 GW, almost exclusively in India and Australia.